The story of the 47 Rōnin is a classic said to embody the spirit of the samurai code of honor, in which forty seven retainers, left without a master when their lord was forced to commit suicide, planned for years before taking revenge against the man who slighted him. Their leader, Ōishi Kuranosuke, resided in Kyoto while the rōnin made their preparations, pretending he had lost his honor and was spending his time in teahouses. It is said that he made pilgrimages to Hōjū-ji to pray as well as meet secretly with his comrades to plan their attack. 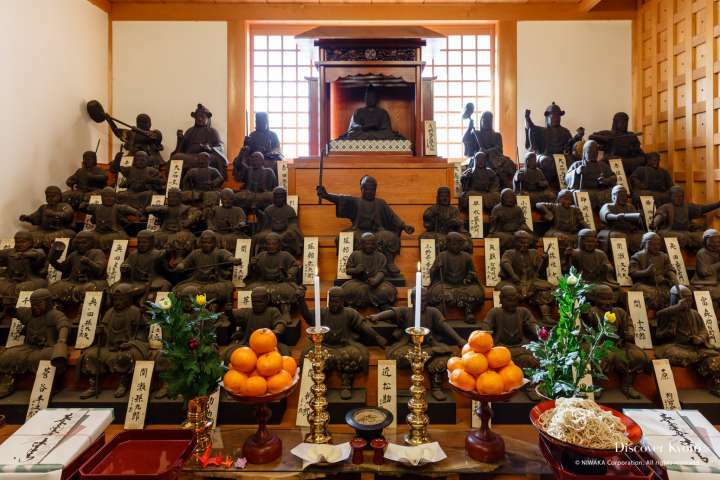 Because of this association, Hōjū-ji holds a 47 Rōnin Memorial Service each year on December 14th, the anniversary of the night when the samurai sacrificed their lives to clear their lord's honor. 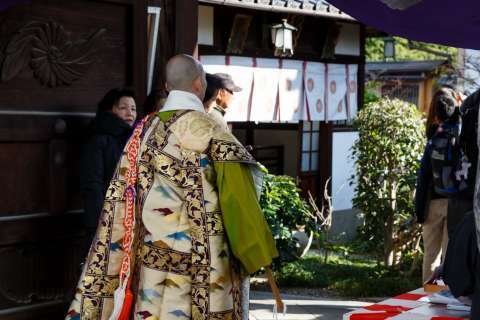 The day's ceremonies start with a tayū dōchū procession, and once the woman dressed as a tayū has entered the main hall, the religious portion of the festival, a memorial service, is conducted by the head priest of Hōjū-ji for the 47 Rōnin. A tea offering is performed within, and the interior is packed with people who wish to pay their respects. 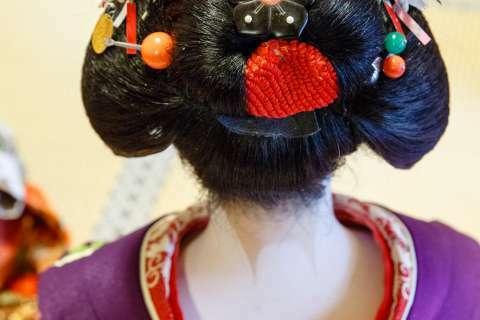 After the service concludes, the temple hosts several rounds of tea ceremony presided over by a maiko (apprentice geisha) and the woman portraying a tayū. 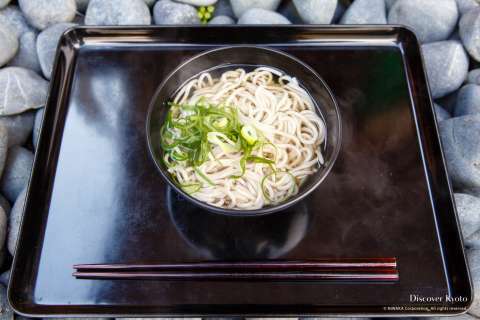 Throughout the day visitors can also enjoy a tasty bowl of "night raid" soba noodles.